We have succeeded in harnessing electricity for our benefit. However, making its use safe is an ongoing struggle. For instance, lightning, which is a sudden electrostatic discharge in the environment during thunders and rainstorms, can cause some irreversible damages to electrical systems and the appliances that run on them. Like the electrical upsurge of short circuits, lightning also poses a threat to residential units. If you can’t settle on what protective devices you need to make your electrical systems foolproof against lightning and other electrical fluxes, get the expert advice of the good contractors at Cypress electrical repairs. When it comes to neutralizing the effects of lightning, nearly every seasoned electrician recommends the use of arrestors, also known as lightning diverters and surge arrestors. There are several beneficial reasons why installing lightning arrestors for your commercial or residential electrical system is a good protective measure. The occurrence of lightning can result in substantial structural damage. The lightning or any sudden electrical discharge doesn’t just cause direct damages. It can cause destruction in an indirect manner as well. For instance, trees getting struck by lightning in the close vicinity are another threat to the structural integrity of the house. When not causing structural harm, lightning can still inflict damages to the outside components of an electric system. A lightning blaze during a downpour can destroy the fragile, weary external cables and wires. 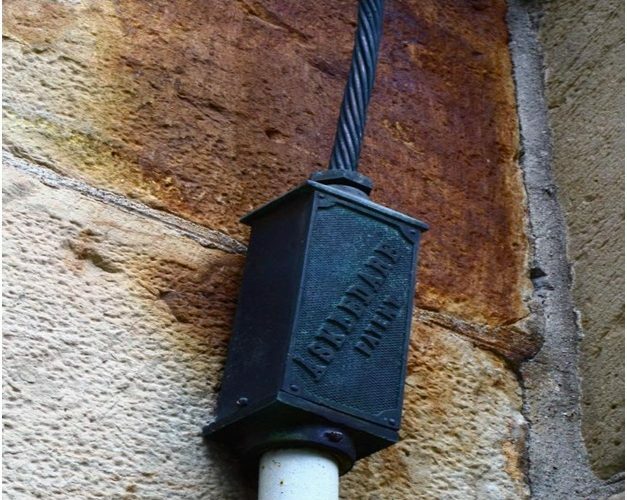 Even though such incidents take place very rarely, you can rule them out completely by installing a lightning arrestor on any building facade. Lightning arrestors are not just used in the literal sense i.e. to counter lightning. The smaller arrestor assemblies are installed to deal with electrical surges similar to that of lightning but of lower intensity that is produced within the system. Electrical surges at outlets can make them short. From fires to broken-down appliances, shorted outlets are hazardous by any means. Besides excessive current, abrupt electromagnetic variations can also affect the working and efficiency of electrical appliances. Lightning arrestors come with features where they also negate the sudden EM changes caused by lightning or other current surges. There is a range of electrical components available which are marketed as the solution against power surges, EM interferences, and natural electrical anomalies. Among all such options, expert electricians consider lightning arrestors as the most basic, effective and easy-to-use device. Any good contractor of electrical repairs in Cypress, TX can help you with the installation of lightning arrestors. Once arrestors are installed, you don’t have to do anything. A working arrestor and diverter will automatically take care of any abnormal electrical surge. By spending a minimal amount on external and internal lightning arrestors, homeowners can protect their properties, electrical systems, and lives from dangerous outbursts of electric charge. Get in touch with RHK Electrical to protect your home and electrical installations through lightning arrestors.